Travel to a premier ski resort on a luxury ski holiday with Ski In Luxury, from the tree-lined slopes of a winter retreat to the chocolate box ski resorts in the Alps. Ski resorts in Europe make the perfect destination for a catered ski holiday, and in our collection of over 800 ski chalets you can find the most indulgent luxury chalets to the crème de la crème of ski accommodation in Europe and across the world. Our guarantee is that when you design your luxury ski holiday around one of our chalets, you'll find yourself in an outstanding resort, recommended for its variety of runs to suit you, first-class amenities, and of course, an unforgettable atmosphere to make you return year on year. Our expert team, with first-hand experience of both chalets and resorts, are on hand to help you find the best ski resort to suit your needs. Already have a ski resort in mind? Enquire today and we'll help you compare our fantastic portfolio of luxury chalets. Alternatively, explore our ski resort guides to find a luxury ski holiday to exceed all expectations. Ski resorts in Europe are some of the best in the world, boasting an abundance of ski runs, world-class apres ski, cultural hot-spots, and certainly some of the most luxurious ski chalets. It's a privilege to have so many choice ski destinations stretching the length of the Alps, from luxury skiing in France to Switzerland, and luxury ski resorts in Austria. Ski resorts in France offer some of the best and most extravagant ski chalets, and over the years the French have become specialists in offering catered ski holidays. It is a favourite ski destination amongst UK skiers and snowboarders with one of the largest linked ski areas in the world in the Three Valleys, including the popular resorts of Courchevel 1850 and Meribel, plus the highest ski resort in Europe, Val Thorens. Alternatively, the Portes du Soleil region is a ski area close to Geneva airport and offers twelve ski resorts with runs for all abilities including family friendly skiing in Les Gets, and a lively French après ski scene in Morzine. Austria has some of the best and most traditional ski resorts in the Alps. Skiing in Austria is an experience to be enjoyed both on and off the slopes, with romantic sleigh rides or adrenaline pumping bobsleigh runs all available around the luxury ski resorts of the Austrian Alps. The après ski in St Anton is claimed to be one of the best in Europe, with a whole host of bars on piste and in resort boasting local drinks, and occasional dancing on tables. The exclusive resorts of Lech and Obergurgl have the most stylish and finest luxury ski chalets for the ultimate catered ski holiday. 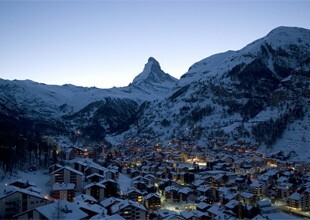 Nestled in the middle of the Alps, skiing in Switzerland is a first-class ski destination. A catered ski holiday in Verbier, or Zermatt is the 'go-to' for any luxury traveller. Swiss skiing features some of the most exclusive mountain restaurants, luxury chalets equipped with state-of-the-art facilities, and a thriving après scene. 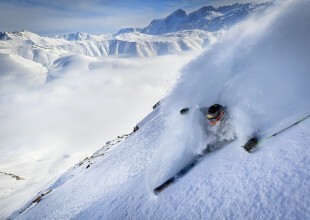 However, luxury ski holidays in Switzerland don't all have to be about the glitz and glam, as high in the Swiss Alps is the traditional resort of Saas Fee, popular with the locals, offering guaranteed snow and an excellent freestyle park. Need more information? Check out our blog for resort guides, top mountain restaurants, and featured chalets.